I’ve known my favorite realtor for 17 years, selling 2 houses and buying 1 with him. I tried to import him with me to North Carolina, but no dice, we had to go it on our own. I’m blogging about him today because he graciously let me interview him this week for my #unsummit5 presentation. 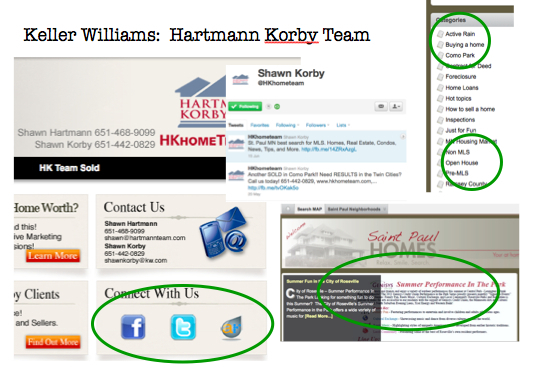 While he’s always been fantastic with people and real estate, he’s got a new blog: http://www.saint-paul-homes.com/ and wanted some tips from me. Simply writing about things I’m want to know about: foreclosures, the Twin City housing market, how to sell your home etc. So then, what would I change? Make categories that reflect what customers would be thinking about, such as shortsales and prepping your house for sale vs. terms like “pre-MLS” which should really be something like: “Coming soon! (Not for sale yet)” or “Sneak Peak: Soon-to-be-for-Sale” or “Active Rain,” which seems geared to professionals. Change the tone so it’s less about getting new clients and more about sharing knowledge and expertise. Share and they will come. Make it more personal. The neighborhood tabs are great, but the information is kind of generic. St. Paul is a diverse and fascinating place full of quirky things, like sidewalk poetry and awesome restaurants. Write about and photograph the Saintly City’s well known personality. 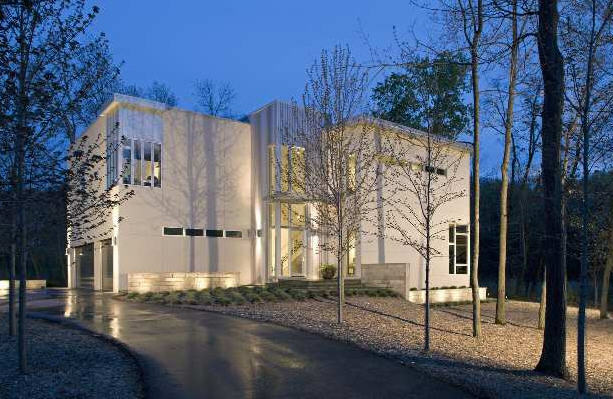 In terms of design, I like a little more white space, but then I’m a huge fan of modern architecture. However, clean lines and simply design is a trend I’m seeing in website design. Check it Shawn’s Blog and let me know what you think. Or just give him a call and he can tell you all about how fabulous living in St. Paul could be for you!